From the doujinshi "all in the golden afternoon"
wow she actually look freindly here. I like this art style. It is very nice. Kind of like a faded (mild) grunge water color painting. And finally my fav! I love her colours and her black wings! Suiginto is actually quite popular. 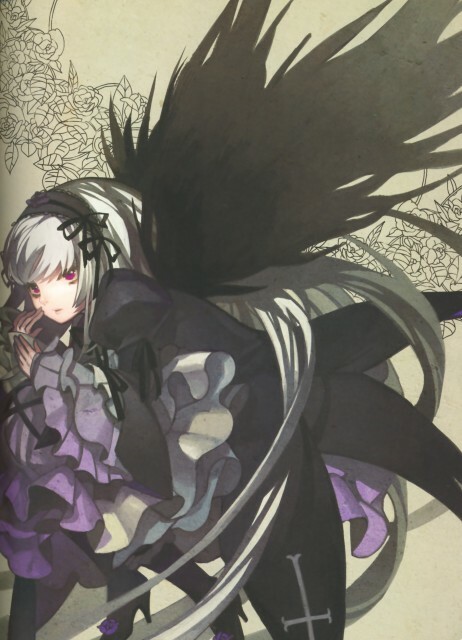 I didn't know there was Doujinshi for Rozen Maiden, thanks. Wonderful Rozen Maiden pic! Thank you very much for sharing! very nice! this pic is great!